I used to live above the Stephanie's on Tremont Street in the South End. Back then it was a different place called the Garden of Eden. They had great cookies there. I loved living there. One of the main reasons was because B&G Oysters was across the street. I ate there A LOT. 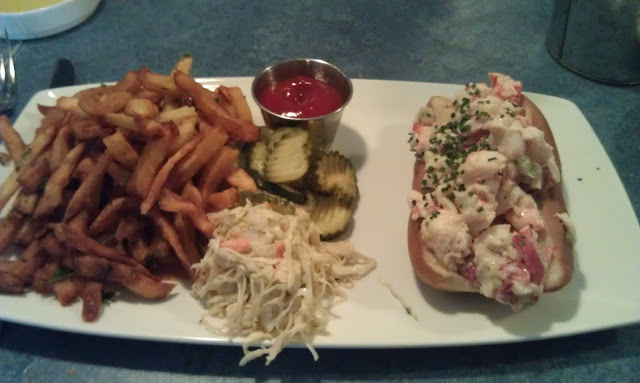 It's been a while since I've been there so I decided to spend this past weekend stuffing my face with lobster rolls. So here's part 1. 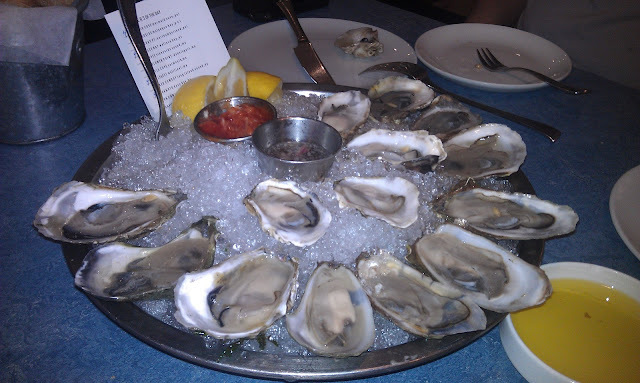 A dozen and a half oysters and a lobster roll. 0 Response to "Lobster Rolls Part I: B&G Oysters"